Product Selection Guides - Hand Protection - Northern Safety Co., Inc. 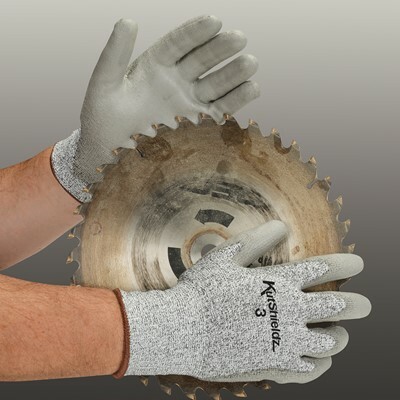 Proper hand protection is a critical concern in today's demanding and ever-changing work environment. Since potential injuries can be severe and debilitating, selecting the appropriate gloves can save workers from lost workdays. The right gloves ensure safety, provide comfort, and help increase productivity. 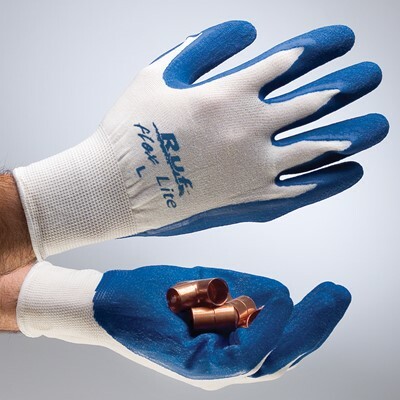 Based on worker activities, workplace conditions, and materials being handled, a wide assortment of hand protection is available. Made of latex, nitrile, vinyl, polyethylene, chloroprene, or a tri-polymer blend of rubber latex, neoprene, and nitrile. Designed to protect both the wearer and products. 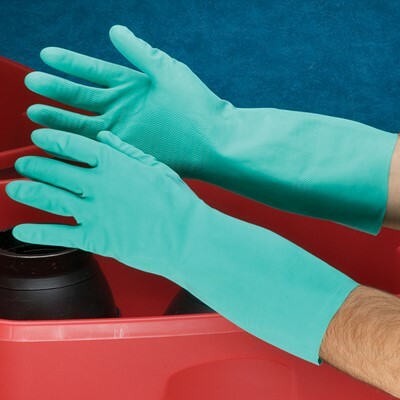 Disposable gloves are ideal for one-time use where fingertip sensitivity is required. Styles are available for food processing, exam, cleanrooms, and medical and laboratory applications. Breathable and durable, leather protects against abrasion. Can be constructed with cotton and synthetic materials, different cuffs, leathers, linings, and thumb styles to ensure a good fit for a variety of applications. Leather gloves are ideal for material handling, construction, maintenance, machinery and heavy equipment operation, and more. Provide a better grip and added protection. Coatings include PVC, rubber latex, bi-polymers, nitrile, polyurethane, foam, plastic, and vinyl. Dots and lines, palm and full length dips with textures, ensure a wide variety of coating styles. 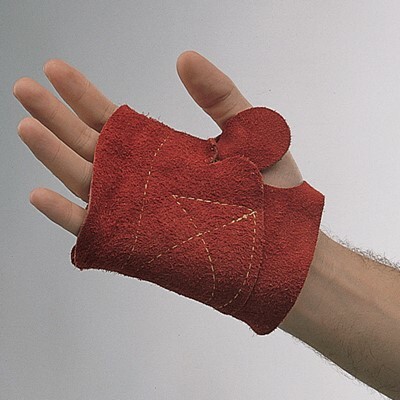 String knit glove material includes cotton, nylon, polyester, and Kevlar®. 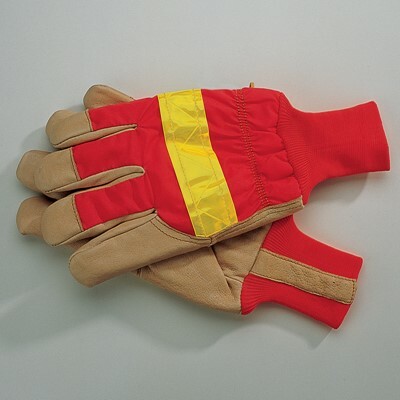 Coated work gloves are ideal for use in a wide variety of applications. Provide protection against abrasion, punctures, and cuts. Made of cotton, cotton canvas, or brown jersey. Can include different knitwrist, gauntlet, pull-on, or band top cuffs, linings, and coatings to improve grip. Cotton chore and work gloves are ideal for lifting, moving, handling, maintenance, construction, lumber industries, and more. Ambidextrous for wear on either hand and can be worn alone or as liners. Comfortable string knit gloves are ideal for light duty material handling, assembly, or maintenance applications. Feature knitwrist cuffs for a better fit and to keep out debris. Inspection gloves include cotton lisle that absorbs oils and helps prevent smudges and stains on delicate parts, and lint-free tricot nylon. Reduce risk of cut, puncture, and abrasion injuries with the various levels of protection available in cut resistant gloves. Special materials include Kevlar®, Spectra®, stainless steel, Dyneema®, and tough synthetic yarns. Materials can be used as linings, constructed in combination with leather, and with a variety of coatings, including rubber or nitrile to improve grip. Protect against high temperatures, flames, or sparks. Leather welding gloves are constructed of goatskin, pigskin, or cowhide. Sometimes nitrile dot coated for a better grip or fully coated to resist abrasion. Heat resistant glove materials include Kevlar®, Nomex®, Zetex™, cotton, aluminized, and glass cloth with linings of foam, jersey, wool, or cotton. Made from many different materials or mixtures, including latex, PVC, nitrile, butyl, and neoprene. Unsupported gloves are created by dipping a hand form into a liquid. Supported gloves involve placing a knit lining over the hand form before partial or complete dipping. Process can include double and triple dipping, and gritty additives for a better grip. Separate liners are also available for unsupported gloves. Shield against penetration from petrochemicals, acids, solvents, detergents, alkalis, and a wide range of other chemicals and substances. Chemical resistant gloves can be unsupported or supported, coated and made from latex, PVC, nitrile, butyl, and neoprene. Look for specific chemical and degradation resistance. Features include different lengths and patterns or textures for improved grip. Durable, comfortable protection provides dexterity and flexibility with an excellent fit and grip. Features include hook and loop closure at wrist or pull-on cuffs. Constructed of synthetic materials and can include leather. May have padding or gel to absorb impact. 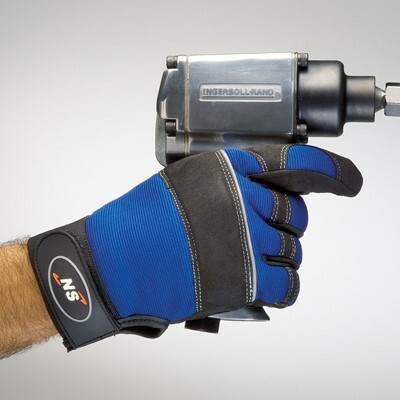 Mechanic's and utility gloves are ideal for garage, construction, power tool and material handling, and much more. 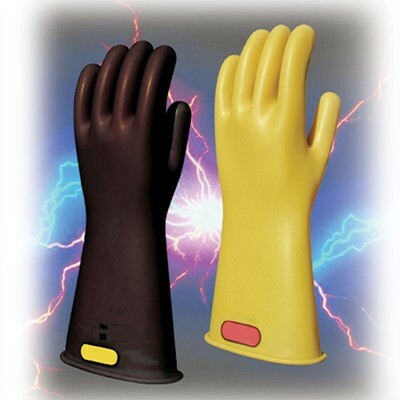 Natural rubber lineman's gloves and leather protectors provide protection in tasks involving electrical voltage. Six classes of lineman's gloves include Class 00, 0, 1, 2, 3, and 4. Proof test voltage and maximum use voltage, for both AC and DC, are provided by manufacturers based on tests performed. Leather protectors help protect against cuts, abrasion, and punctures. Choose from a variety of insulating materials to keep hands warm, including thermal, jersey, fleece, and foam. Exterior shell construction can be leather, cotton, PVC, neoprene, or nitrile. 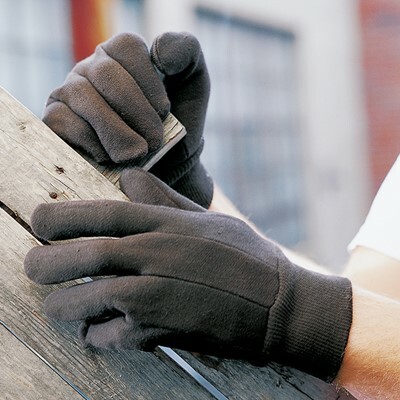 Cold resistant insulated gloves are ideal for use outdoors and indoors in cold environments, for material handling, general maintenance, and when driving or operating heavy equipment. Lifting gloves protect from cuts and abrasion and can have padding for added protection. 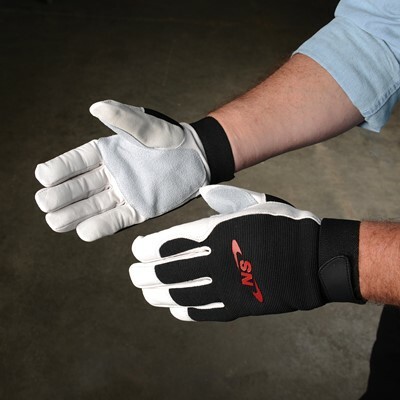 Anti-vibration gloves are padded to dampen vibration and reduce repetitive impact injuries. Constructed of leather and cotton or synthetic materials with padding or gel to reduce vibration. Often equipped with wide hook and loop wrist wrap for added support. 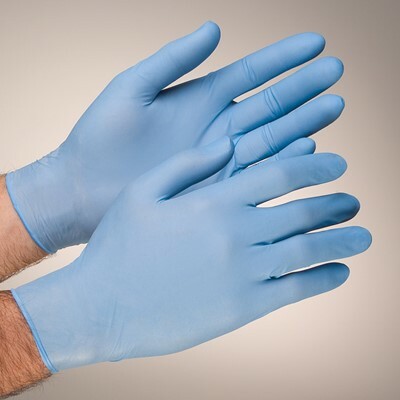 Cleanroom compatible gloves ensure product protection and are available in vinyl, nitrile, tri-polymer, and more. Powder-free and usually disposable, cleanroom gloves are ideal for use when manufacturing and handling sensitive parts, working with electronics, and in laboratories. Latex fingercots, leather finger guards, and finger wraps are ideal for use in unique applications when a full glove isn't necessary. Latex fingercots protect products from fingerprints and ensure tactile sensitivity. Leather finger guards protect when handling small sharp objects, and finger wrap sticks to itself so skin can breathe while improving grip. 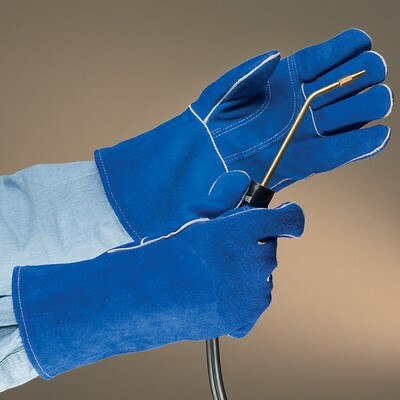 Tying cord, wrapping ties, bending copper tubing, and working with cables is easier with bundler's gloves and cable former's gloves. Hand protectors feature double layer, reinforced palms and are available in goatskin, split leather, or grain leather. Provides strength in donning and helps prevent tearing. Help protect the wrist area and are 2 1/2" in length. Adjustable cuffs feature hook and loop or Velcro® closures at the wrist for a secure, custom fit. Ensure added forearm protection and are 4 1/2" or more in length. 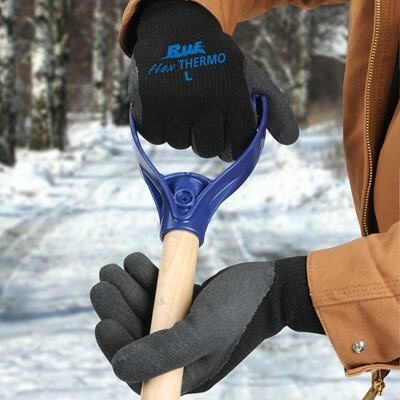 Designed to hold the glove in place and prevent debris from entering at the wrist. Allows wear over a shirt cuff for added protection. Provides easy-on and easy-off. Usually have an elastic gathering on the top or bottom of the wrist. Reduce fatigue and stress on seams. Ensure comfort and flexibility while providing added wear resistance. Constructed to provide a closed thumb gripping position for comfort and durability. Reversible style allows wear on either hand for longer lasting use. Soft, interlock knit lining helps keep hands warm in cold environments. Adds lightweight warmth and is soft and comfortable against the skin. 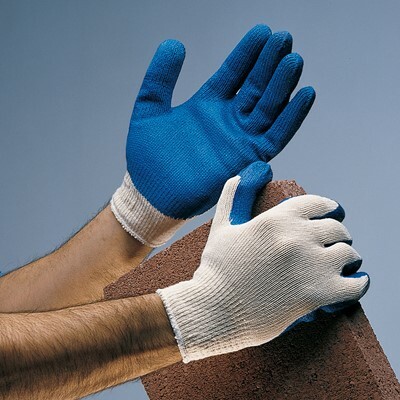 Insulates to protect hands in cold temperatures and when handling cold materials. Includes acrylic terrycloth, cotton, and Thermonol materials to protect against the cold. Cotton fiber applied to the inside of unsupported gloves. Absorbs perspiration and is more comfortable against the skin. Cut, abrasion, and heat resistant material. Used as a lining in leather and can be coated for a better grip. Provides support for dipped gloves. Adds durability and insulation. Used as a lining to dissipate heat in aluminized and glass cloth gloves and mitts. With a proper fit, gloves can be easy to work with, comfortable, reduce hand fatigue, and provide the safety your workers need. For accurate glove length, measure from the tip of the middle finger to where the cuff edge should be on the wrist or arm, then select the proper cuff and length for your needs. 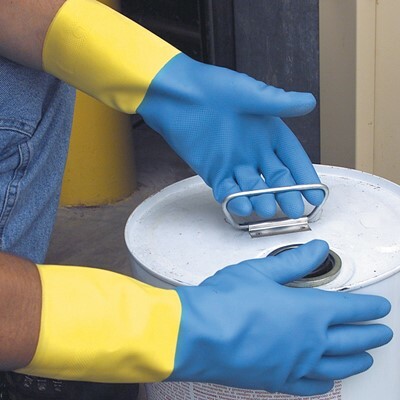 OSHA 29 CFR 1910.132 provides general requirements for personal protective equipment and 29 CFR 1910.138 provides requirements for hand protection. Additional personal protective information is available through OSHA's Safety and Health Topics. A wide variety of standards apply to hand protection. The following are examples of some of the standards, regulations, or information that apply to hand protection. Please note, additional standards and regulations could apply and would depend on your specific applications and uses of hand protection. Call our knowledgeable Technical Support Department at 1-800-571-4646, 8 am - 5 pm ET, Monday - Friday, or email us.